Recommended Audiences: Kids, young teenagers, the young at heart, fans of the original game. Part of the reason why Archie Comics’ Sonic the Hedgehog is one of the best comics on the stand today is because writer Ian Flynn deftly manages to make use of the humongous world at his disposal and present it in an accessible manner. 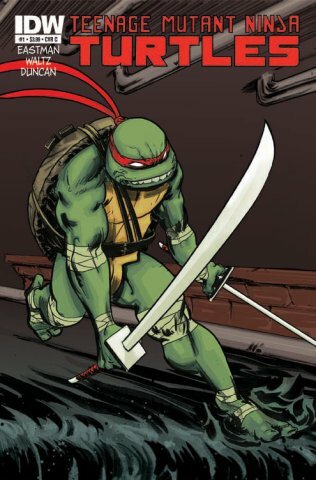 With material from nearly two dozen games, two animated series, and a decade’s worth of comics to draw from (including a fair amount of material that clashes or simply doesn’t fit together) a less ambitious writer would have said “screw it–let’s reboot” long ago; Flynn, on the other hand, has given himself the task of slowly reshaping it in order to make it work, while still acknowledging what came before. Recently, Archie tasked Flynn with replicating Sonic’s success with another venerable videogame franchise, Mega Man. Given the Blue Bomber’s own storied history—one that spans more than twenty games and several different sub-franchises and additional material—it would have not been illogical to expect Flynn to take the Sonic approach to his new book. Instead, he has done something rather different: for his first act, he has taken it upon himself to adapt the very first Mega Man game in its entirety. Now, if you’re familiar with the original Mega Man game, it won’t take long to find a potential problem with this approach: released for the Nintendo Entertainment System in 1987 the game had very little in the way of a story; Mega Man just went through six stages, fought six bosses, stormed mad scientist Dr. Wily’s skull-shaped keep, and that’s it. 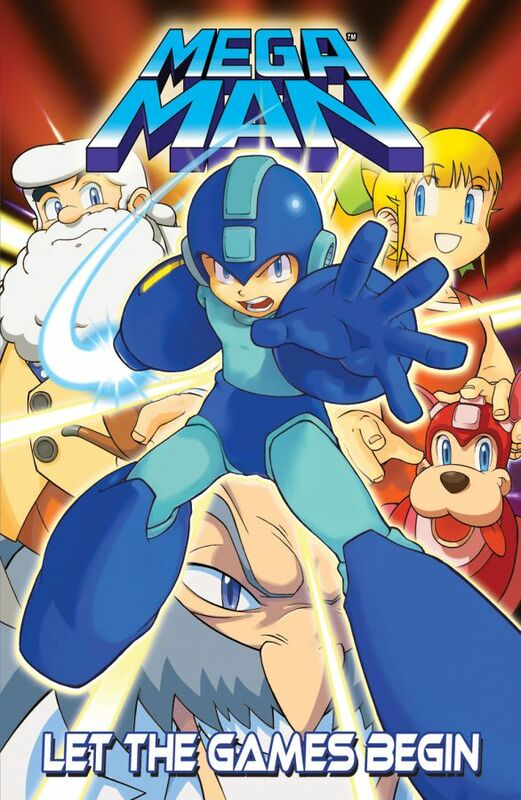 There was a premise, to be sure: Mega Man (a.k.a.“Rock”) is a helper robot–think of him as a humanoid Roomba–who was modified to become a warrior by his creator, Dr. Light, after Light’s former colleague Dr. Wily, as part of a bid to take over the world, stole and reprogrammed the six “Robot Masters” they’d both created—but as a story, it is hugely lacking in specifics: Mega Man is good; Dr. Wily is evil; the Robot Masters have no set personalities aside from what could be assumed from their appearances. And while worked great for the game, a comic book is a completely different beast. You could try creating brand new details for the story, but Flynn isn’t really interested in that, at this point. So how does he do? As well as could be expected, really. 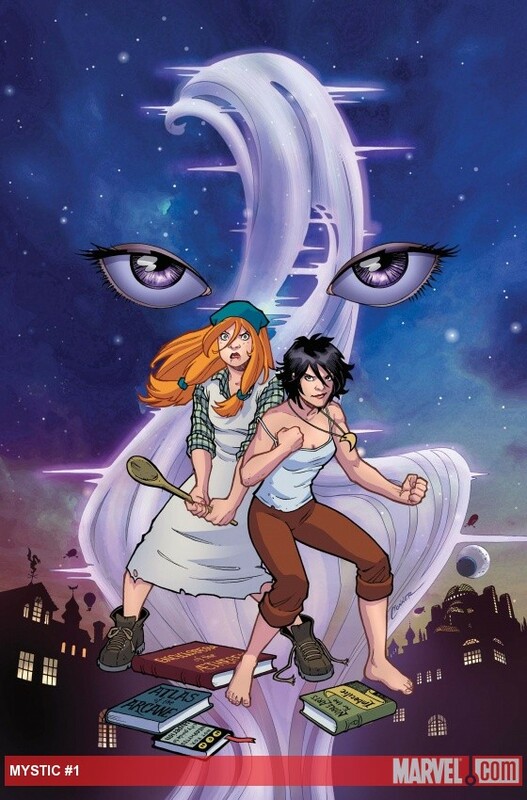 With more than six separate big fights to cover and ten characters to develop, “Let the Games Begin” has a lot of ground to cover: after spending the first issue establishing the main characters and the premise, the story arc adopts a breakneck pace in order to manage it all—imagine if the Scott Pilgrim book had condensed the battles between the seven evil exes into one book, and you’ll get the idea. And yet, he does it—all six stages and Robot Masters are represented here, and Mega Man goes through them in the classic videogame order, obtaining their powers as he goes; Wily’s castle goes as it should, with the Yellow Devil*, Robot Masters redux (with a twist), Mega Man copy, and finally, Willy himself**. Between all the fighting and action set pieces, it’s a wonder he’s able to develop any characters at all, and yet he does: between all the action, Flynn manages to establish Rock as a young boy who, despite his distaste for violence and self-doubt, risks everything—including his beliefs and his morals—in order to do what needs to be done. His path is a hard one, and the fact that he questions it every step of the way is what makes him a hero. Dr. Light also gets the foundation for an interesting character arc, as he is presented as a person who sought to use the Robot Masters to better the world as atonement for perceived past sins, who now sees his life’s work used to do exactly what he wanted to avoid—it’s gripping stuff, for a book nominally aimed at children. Unfortunately, there’s not enough space to do more than lightly sketch the rest of the cast, and a couple of the character beats come in too fast to feel particularly natural, but hopefully future arcs, which according to Flynn will not necessarily be tied down to any one game, will allow the characters a chance to breathe. One particular thing I’d like to note is that, like its source material, “Let the Games Begin” has a hugely unbalanced gender ratio. When it comes to women, there’s Roll—Rock’s robot “sister”—and that’s it: a 9-to-1 ratio, and one that we can expect to get even worse as the series goes on and new Robot Masters are introduced. While Flynn’s choices to rectify this are limited, I do hope he at least tries to do something to address this–he’s done wonderfully in that respect in Sonic the Hedgehog, and I hope he’ll be able to do something similar here. While “Let the Games Begin”’s writing is a mixed bag, the same cannot be said of the art, which is only nearly perfect because perfection implies a level of awesomeness that would probably destroy the planet if achieved. While Patrick “Spaz” Spaziante is more commonly associated with the Sonic the Hedgehog book—he’s been providing covers and the occasional bit of interior art for almost as long as the book has been around— his style make the transition to the Mega Man-verse seamlessly. Of particular note are his panel compositions, which have always been a particular strength of his and are the main reason why the various Robot Master fights work. Inker Gary Martin and colorist Matt Herms capably supplement Spaz’s pencils: this is a very pretty book. The original Mega Man game did not require a story: it did perfectly well without it, and trying to craft one may seem rather misguided, if not a spectacular exercise in missing the point. However, with “Let the Games Begin”, Team Archie has crafted a story that feels like something the player might come up with as he is playing: they get the concept, it’s appeal, and how to make it work as a book: if the creators can improve on the pacing, it could very well be the definitive adaptation of the franchise***. Issues #1-4 of Mega Man can probably be found at your Local Comic Book shop, or can be ordered directly from Archie. A collection of the four issues will also become available on September. ** Ooh and Mets! Or “Taco Bells”, as me and my friends used to call them. *** Caveat: If the Mega Man 2 adaptation doesn’t consist of Mega Man completely abandoning the Mega Buster in favor of the Metal Cutter because dude, it totally shoots in every direction, it automatically fails. I’ve been watching the new Thundercats cartoon since its debut, and so far I find it to be mildly entertaining. It’s got startingly good production values, to be sure, and it gets points for trying to do straight-up swords-and-sorcery on a medium in which in its rarely attempted, but so far, it seems that they usually don’t have anything new to say. Then came the third episode “Song of the Petalars”, in which the series tries something new and gets a good story out of the deal, even as it fails to live up to its potential. The premise goes something like this: after Lion-O and the group decide to hide from an approaching squadron of lizards, they run into a clan of Petalars, tiny plant-like beings who have been literally blown away from their homeland. The Thundercats, heroes that they are, offer to help in their return pilgrimage. The catch is that Petalars are extremely short-lived species, going through an entire life cycle in a day. Over the course of the episode, Lion-o bonds with a particular Petalar, Emmerich, whom he comes to know throughout the entirety of the petalars’ life; in the end, just after the group finds the way back into the Petalars’ homeland, Emmerich dies of old age. This episode had a lot to like: it has a great premise, which for me is usually enough to forgive a multitude of sins, like inconsistent characterization on the Thundercats; the character designs for the Petalarans are fantastic, and the overall tone of the episode makes me want to hug its creators. And yet, at the end of the episode I got the feeling that the creators either didn’t think the whole premise through, or did and decided to ignore its implications for the sake of the story they wanted to tell. Which is fine, I guess—the episode was still an exceptionally good one—but it could have been so much more. For one, I would have really liked to see the episode explore the idea of what history means to a people with such short lifespans. For example, by the time the Petelarians managed to return to their homeland, for them it would have been several generations since any of them had actually lived there. That being the case, what motivates them? (I might have missed a relevant bit here). Not only that, there’s the fact that if a day is a lifetime, a homeland can be a very ephemeral thing. Say the episode had been taking place during a day-long storm: that storm would have been all that Emmerich ever knew, and he’d likely be unable to visualize a world with a sun—he’d likely consider it the stuff of folklore. It all makes me feel that the Petalars entire goal felt misguided. By the time we meet them, they’re chasing a dream that isn’t their own, and going to a home that doesn’t exist, and the episode itself doesn’t really question that (I feel; I missed a bit of dialogue which may have been significant). It would have felt more natural, I feel, if they’d been natural nomads instead of allegorical Jews. I also felt that something was lost by having Emmerich having the bulk of his interaction with Lion-O, particularly since it closed off the rest of the Petalarian civilization from the audience, preventing us from further seeing what their society is like. I also sort of wish that they’d dealt with what it means for him to spend what amounts to most of his life interacting with only one person—an outsider, at that—in a society that (from what we saw) appears to value the collective over the individual, it would seem that something like that would make him a pariah,which is something I would have liked to see explored. There’s a bunch more stuff, but it all boils down to my belief that the concept for the Petalars was too good and too rich for the writers to only spend 15 minutes on it, and that the episode could have been more thought-provoking than it could have been, with a few tweaks. I hope we get to see them again. That said, even with all of the unused potential, I felt the episode was excellent and bodes well for the cartoon. I really hoped Emmerich had been a girl. Four issues in, the show has been pretty consistent in portraying men as the default and women as the exception, which I find disheartening. It may get better yet—Avatar: The Last Airbender didn’t really get gender-neutral until season 2—but given the show’s established cast and connection to past incarnations—I’m not sure if the creators trust the fans to react positively if they’d introduced an all-new, female Thundercat–I’m not particularly optimistic. I continue to be impressed with the way the series handles the fight scenes, particularly the way it allows us to see Lion-O actually cutting down enemies with his sword in a way that feels natural and brutal while still being “safe”, without making the lack of blood or gore feel weird. A lot of otherwise awesome good cartoons have had problems with this sort of thing, so I’m glad to see that this particular obstacle isn’t insurmountable. “Thundercats” is still a silly name. Comic books about women are relatively rare. Comic books about female friendships are almost unexistent–Strangers in Paradise is the one that immediately comes to mind*, as does Birds of Prey, but I’d have to dig rather deeply to find any others, and I’m a pretty big fan of comics–maybe Betty & Veronica? In any case, given the scarcity of such books, it’s encouraging to see that Mystic #1, by Crossgen via Marvel, is really good. Although I was a pretty big fan of Crossgen way back in its original incarnation, I never got into the original Mystic, so I can’t really tell whether or not it sticks to its original premise and set-up (there’s certainly a lot less skin–compare this issue’s cover with those of the original series); my guess is that while it’s not Mystic In Name Only like Sigil was, it’s not something you could consider a proper continuation of the original series like Ruse**, either. The set-up here is this: Giselle and Genevieve are orphans in the steampunk-meets-magic world of Hyperion. Romantic Genevieve dreams of surpassing the limits imposed into her by class and being chosen to become a royal apprentice of the Noble Arts at the palace; headstrong, practical Giselle would just like to escape their dreary orphanage and its tyrannical overseer. After their latest unauthorized excursion into their Mistress’ private library is discovered, they decide to take their lives into their own hands, and the plot begins. Most of the issue is spent establishing the characters of the two protagonists, and writer G. Willow Wilson–whom I’d never heard of before, but now wish I had–does an excellent job with that. I particularly like that both girls are presented as being bookish and curious and smart, even as they’re smart in different ways. The relationship rings true, and does a good job of setting the reader up for the last page development, on which the whole series hinges. The dialogue is suitably punchy and works, for the most part–Genevieve sounds too overwritten at parts, and I’m not quite sure if it’s supposed to be an intentional affectation or not. While I’m unfamiliar with Wilson’s work, the same cannot be said for David López art, which I’ve loved since Fallen Angel and continues to rock here. His expressions and body language, in particular, are fantastic–there’s a page near the end of the book consisting of a nine-panel grid, each featuring a prospective Noble Arts Apprentice as zie is asked a question about the history and laws of Hyperion; in the space of one panel, each of these extras (at least here–we may see some of them later) is made to feel like an individual, distinct, and interesting character. The pencils are well complemented with inks by Álvaro López and colors by Nathan Fairbarn. All in all, this is a fantastic book, one which I wish had, like Ruse, been better marketed, as it’s the kind of all-ages girl-friendly books that I feel the big 2 need to focus on more if they are to truly increase their reader base: I could see this really appealing to fans of Young Adult literature, and I hope the rest of the mini-series maintains this level of quality. * Caveat: Given that most friendships between females in Strangers in Paradise appear to end in sexual relationships, it may not be the best example ever, when taken as a complete work. ** Y’know, if you ignore that whole “Emma has superpowers and secretly watches over Simon as part of a game she plays with a mysterious higher power” business.